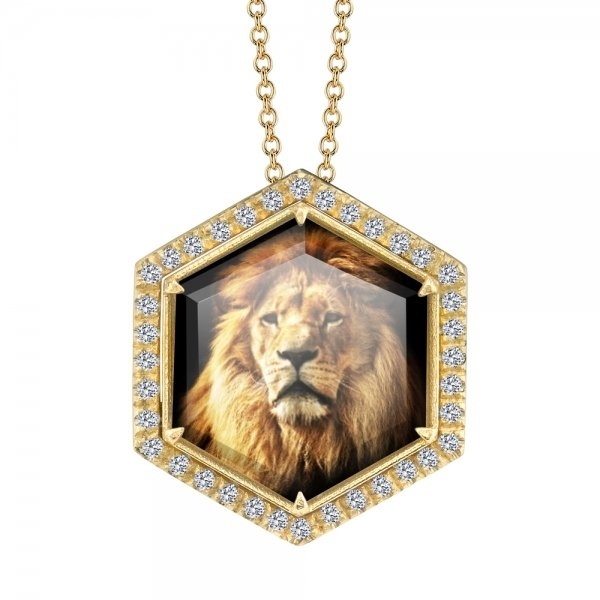 Medium Hexagon Lion Spencer Portrait in 18K yellow gold with eternity diamond frame (0.36 cts). Also available in Rose or White Gold. Customizable with any image of your choice.